Playing the harp beautifully is a dream that all children and adults can achieve. The benefits of creating music include confidence, self-esteem and a fresh awareness of art and beauty. Parents will find that sharing a love for music with their child will enrich their lives forever. 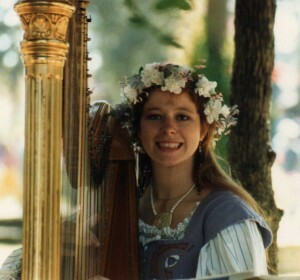 Therese Honey is a specialist in Celtic and Early harps, with a background in classical pedal harp. With a diverse private studio in the Houston area, she enjoys teaching both children and adults on pedal and lever harps. She frequently tours the United States as a clinician and adjudicator. 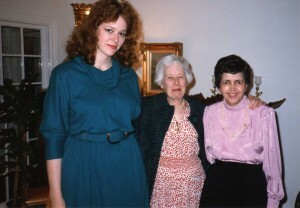 She began her harp studies with Houston Symphony harpist Beatrice Rose, with whom she studied for thirteen years. Therese has continued to further her harp skills by studying other noted harpists and at the Irish Music Summer School in Ireland, Amherst Early Music Workshop, Historical Harp Conference and the University of Houston. In 2008 Therese became a registered Suzuki Harp Teacher. Therese teaches workshops and seminars on Medieval, Renaissance and Celtic repertoire, arranging and style, and Harp Ensemble. She is a dynamic teacher who inspires and motivates her students to develop strong musicianship skills and good harp technique in all styles of music. 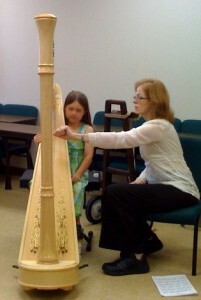 Her students learn about performance attitude and preparation, harp repertoire, the history of the harp, proper harp maintenance, and practical aspects of a music career. 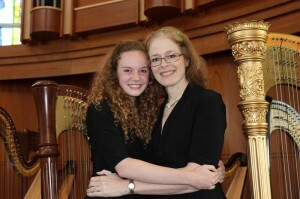 In addition to weekly lessons at her Rice University area studio, Therese’s students participate in frequent performances including recitals, competitions, orchestra and harp ensemble. The Houston Harp Studio has harps available for rent and will advise students on purchase of harps. It’s never too late to learn, but sometimes it is difficult to find a teacher nearby. Online lessons using FaceTime or Skype are a great way to have a harp teacher by your side. Lessons are tailored for each individual student, with both short and long term goals. In addition to classical pedal harp, Therese offers lessons in Medieval Harp, Renaissance Bray Harp and Celtic Harp. Method for the Harp by Maria Grossi is my favorite technique book. If you already have a book of technical exercises it is not necessary to immediately purchase this one. Beginning children will use the Suzuki Harp Book & CD, Volume 1. A notebook/tablet to take notes during the lesson. Students may record lessons for their personal use. Do not post the private lessons on YouTube, Facebook, or other public forum. Daily practice makes it easier to play! Plan on warming up immediately before your Skype lesson and practice further right after to solidify your new knowledge. Since you won’t be needing the time to drive to and from a lesson, this is a great opportunity to work on the music while the ideas are fresh. Left Hand Toolbox – Accompaniment Patterns with Gusto! On the Road Again, with Your Lap Harp! International Society for Folk Harpers and Craftsmen, Inc.